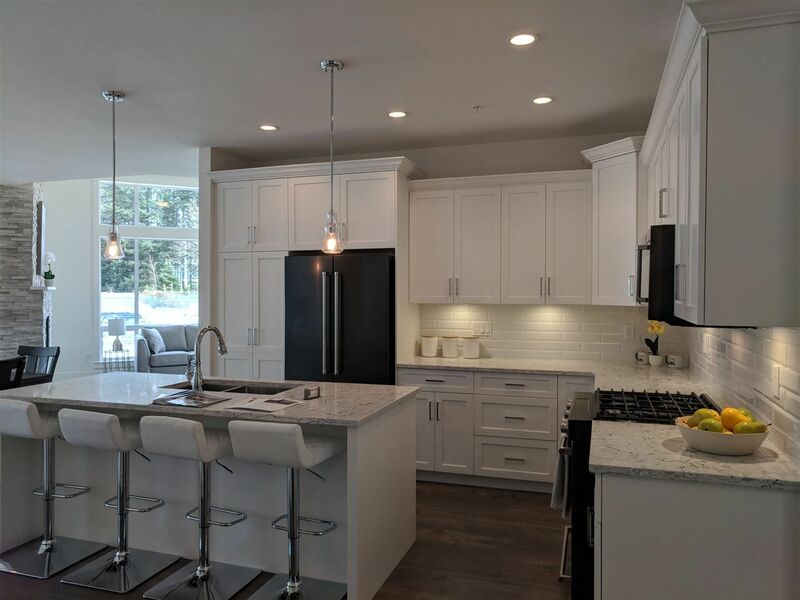 One of a few remaining suites at The Boardwalk's first building - luxury condo living near the banks of the Vedder River and the ever popular trails and parks. Beautiful south east corner suite with the patio facing the river, this suites features modern designer wood cabinets with under-mount sinks, under cabinet lighting, soft close drawers and doors topped with quartz counters throughout. Tile and laminate flooring throughout with upgrade options available. Tall 9 foot ceilings and a gas fireplace with superior finishes and fixtures. The Display home is open from 1 to 4 p.m. Saturday's or by appointment. Don't miss this great opportunity to live in this great neighborhood.